The Anti-Defamation League, an organization that aims to stop the defamation of the Jewish people, and secure justice and fair treatment to all peoples, is celebrating its 100th year. 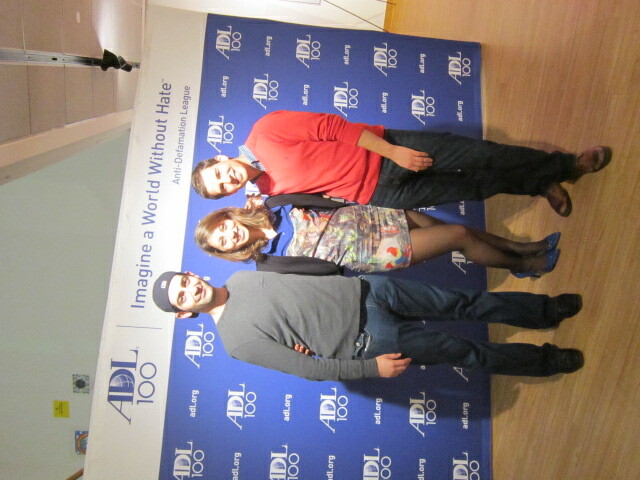 On November 17th, the organization hosted Artworks ADL, an art auction and exhibit highlighting themes of injustice, hate, and intolerance. 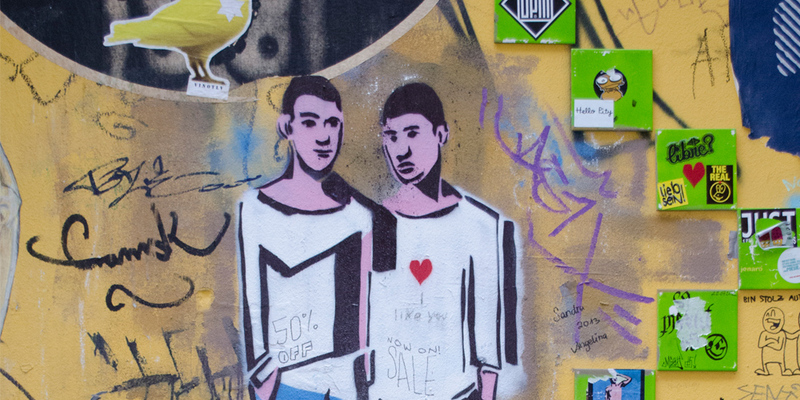 Post-Soviet Graffiti Director Alexis Zimberg was invited to participate and submitted a piece on the topic of LGBT rights. 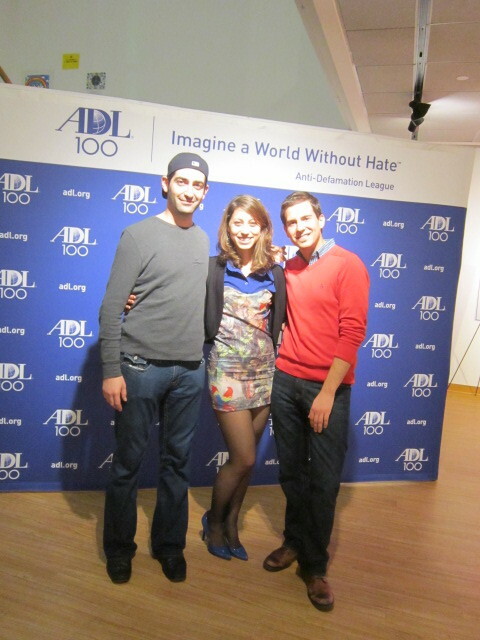 ADL: What does ADL’s Centennial theme Imagine a World Without Hate ™ mean to you? Zimberg: While social injustice and oppression of man continue, our civilization cannot know peace. It is our duty to do what we can to counter hate. So often the answer is simplified: fight the bad guys. But it’s not that easy. We also have to prop up messages and messengers of tolerance. Imagining a world without hate is just that… designing and perfecting a collective worldview that delegitimizes, disarms, and disempowers the intolerant. I imagine a world where we commit to that which we imagined by accepting the social obligation to protect one another from avoidable harm. Submitted Piece: Young Love and German Memory. Berlin, 2013. Photographed by Alexis Zimberg. ADL: How does your art work reflect ADL’s Centennial theme? 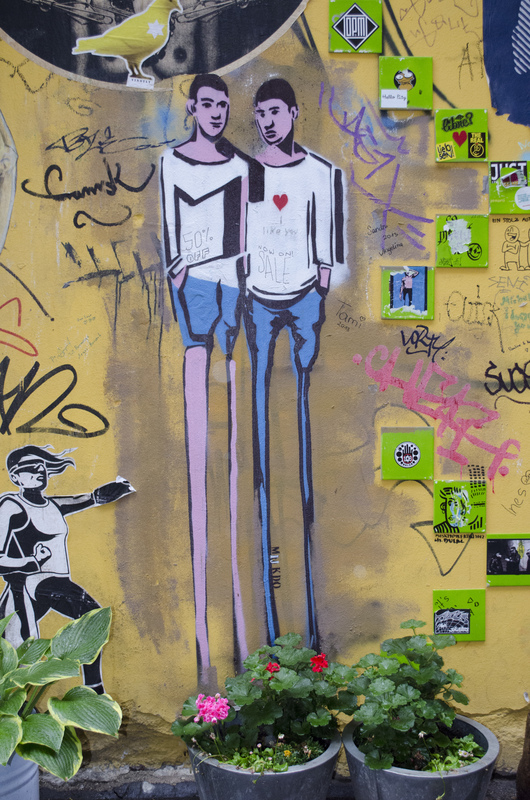 Zimberg: I took this photograph in Berlin in June 2013. This photo champions one’s right to love anyone that they choose by highlighting the subtleties of young romance, a pink-cheeked reality to which all genders are susceptible. Meanwhile in the top left corner, a yellow bird wears a Star of David on its chest, paying tribute to the German city’s hateful and intolerant past. For context, a colourful mural of a smiling, young Anne Frank rested a few yards to the left. Director Alexis Zimberg explaining the meaning of her piece. 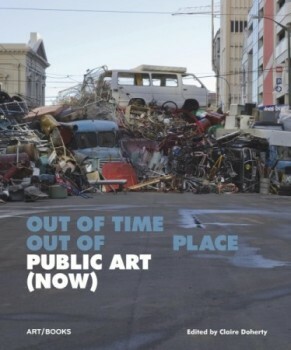 What role can art play in eliminating hate and enhancing tolerance, unity and respect for all? I chose a piece that highlights tolerance and cultural awareness in a city so infamous for its violent rulings and hateful rhetoric because I do believe that art plays a critical role in defining and reinforcing a public narrative. I love anonymous street art in particular because it is accessible to anyone with a spray can. One can create anything behind the cloak of anonymity; I laud the street artists that use their cloaks and talents to promote justice and respect. 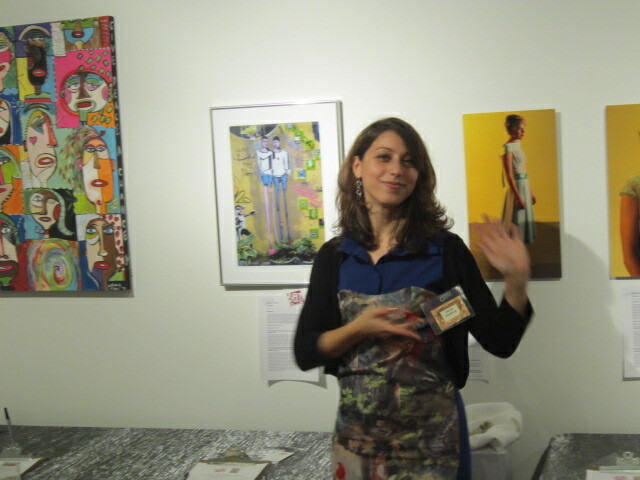 At the Artworks ADL exhibit and auction in November.